Nothing goes better than chocolate and coffee. In this grain free cookie recipe, I give you just that! This recipe was inspired by a recent trip to my local market. I was reaching for coconut flour and stumbled upon tapioca flour. I had heard of it being used in some Paleo recipes, but wasn’t sure if it was truly 100% grain free. 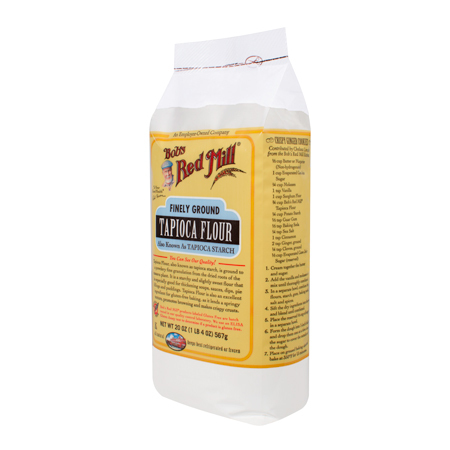 After a quick Google search I came to realize that tapioca flour was nothing more than ground yucca/cassava root! After some researching on the web, I decided to just jump in and play with this new-to-me flour. The result were these cookies. These soft, chewy and crumbly cookies are PACKED with the flavors of espresso, dark chocolate and the slightest little hint of coconut from the flour and added unsweetened coconut flakes. 1. Preheat oven to 400. In a bowl combine flour, nut meal, baking powder, baking soda and salt. Set aside. 2. In a mixing bowl, combine eggs, egg white, cooled butter, honey and vanilla extract. 3. Carefully add dry ingredients to wet ingredients while continuing to mix. 4. Fold in espresso granules, chocolate and coconut flakes. 5. Drop spoonfuls of the dough onto a lightly greased baking sheet. Make sure they’re spaced out a bit. 6. Bake 6-8 minutes until tops are golden brown. Let cool and enjoy! 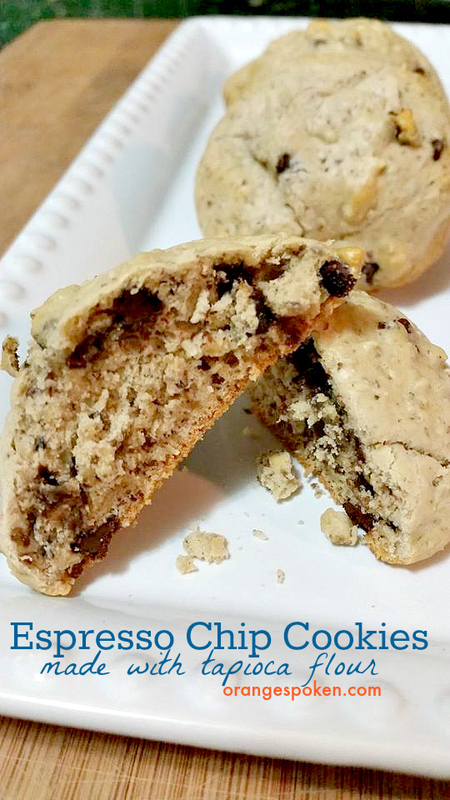 This entry was posted in Uncategorized and tagged espresso chip cookies, gluten-free cookies, grain free cookies, low sugar cookies, nsng cookies, tapioca flour cookies. Bookmark the permalink.